Tools: mixing glass, strainer Glass: old-fashioned glass Garnish: twist of lemon Pour the bitters, sugar and water into a mixing glass half-filled with cracked ice. Stir well until the sugar is dissolved. Strain over cracked iced in an old-fashioned glass. Add Angel's Envy and stir well. Garnish with a twist of lemon. 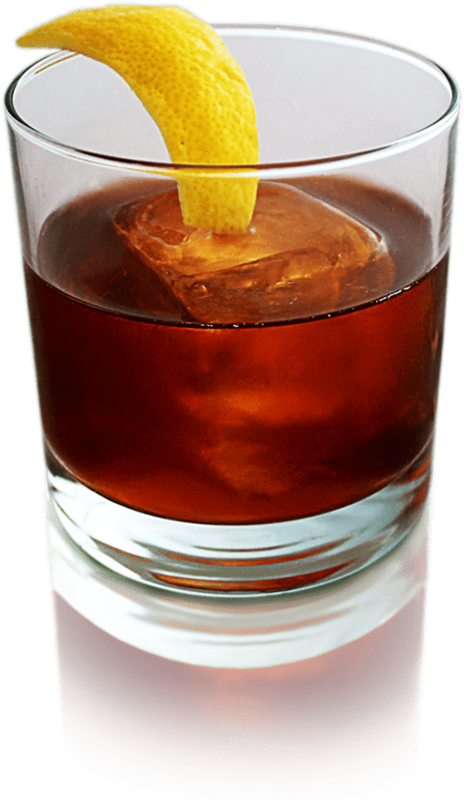 The important thing to remember about the Old Fashioned is that ‘Old’ is a relative term. Like, relative to the late 1800s old. The Old Fashioned is old enough that it was once considered a medicinal tonic. But it was always an alternative for people who didn’t enjoy their spirits straight. While variations of the recipe made with different spirits are considerably older, the whiskey version of the Old Fashioned is often credited to a bartender at Louisville’s famous Pendennis Club. It was allegedly created in 1891 to honor noted distiller James E. Pepper, who eventually brought the recipe to New York City’s Waldorf-Astoria Hotel bar. Shortly after Prohibition, a man calling himself “Old Timer” wrote a letter to the editor at The Times. He made an impassioned plea to the bartenders of New York, asking them to embrace and honor the traditional recipe of the Old Fashioned. Why is this relevant? Because Old Fashioned recipes have varied over the generations. There’s even a fierce scholarly debate over whether or not it includes cherries, muddled or otherwise. So to honor the spirit of this anonymous post-prohibition traditionalist and continue the debate, we’ll present a perfect Original Old Fashioned recipe below.